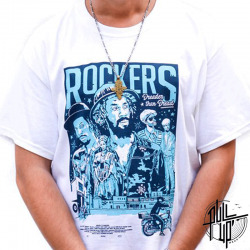 Pull Up Wear is a clothing brand, created in Barcelona and related to Jamaican music and culture. This connection doesn’t only involve design; Pull Up Wear supports sound systems, artists and reggae bands. Pull Up Wear is starting a long journey and from here, we encourage you to get on board and to be a part of this project, which started in 2005 and is now back with renewed energy.